Join one of the oldest and largest groups that visits Hedonism II – Wet, Wild and Wicked (WWW). The WWW group is hosted by Denny of DennyP Travel. Attendees will get involved in planning activities, theme nights and other fun events. 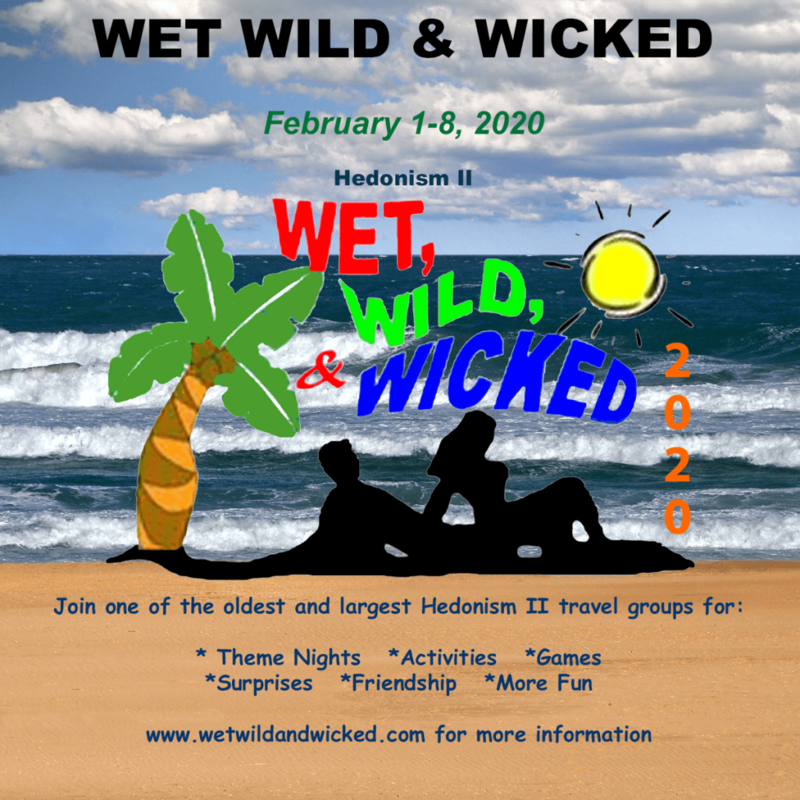 The WWW group has been visiting Hedonism II for 20 years. Our members are of all ages and from everywhere. Their common interest is to make friends and have a good time at this adult play-land called Hedonism II. For more information and to request a quote see www.dennyp.com/www or call 602-882-0390 (877-DENNYPTtavel).